BENSALEM, Pa. (WPVI) -- Bensalem Township police are thanking the public for helping catch a suspect who taunted authorities on social media. 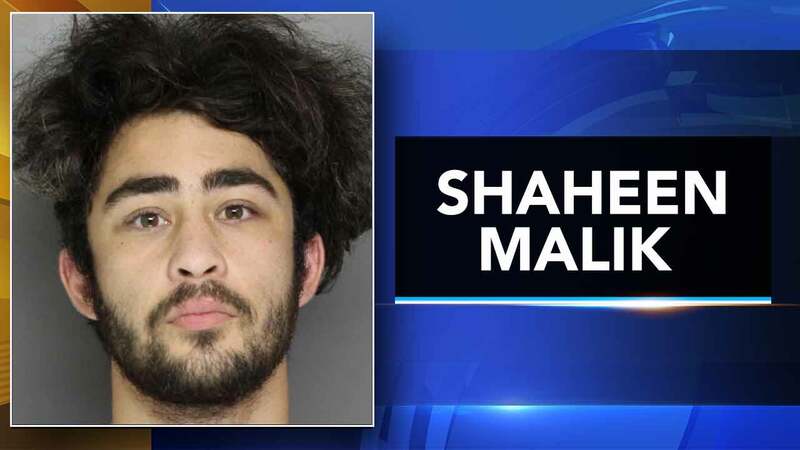 20-year-old Shaheen Malik of Trevose was arrested Tuesday night and charged with Manufacture Delivery of a Controlled Substance, Possession with Intent to Deliver Controlled Substances, Possession with Intent Drug Paraphernalia, and Criminal Use of a Communication Facility. Police say he sold acid, marijuana, and ecstasy. According to police, Malik likes to call himself "Hash." Authorities say Malik taunted the Bensalem Police Department on social media challenging them to find him and put him in prison on the active warrant. It only took around three hours for police to bring Malik into custody after posting online they were searching for him. "Shaheen Malik is in custody!!!! Thank you everyone for your tips. That was quick!" the Bensalem police said.